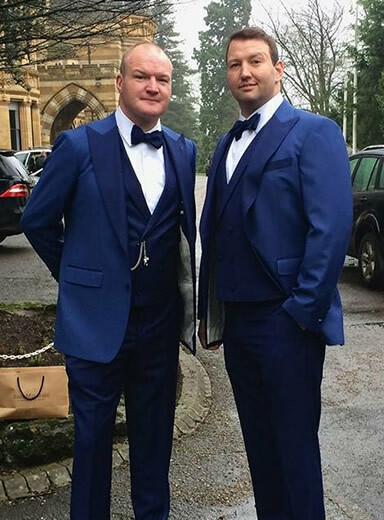 James wears a three piece shawl collar dinner suit in midnight blue super 120s pure new wool from Huddersfield fine worsteds. 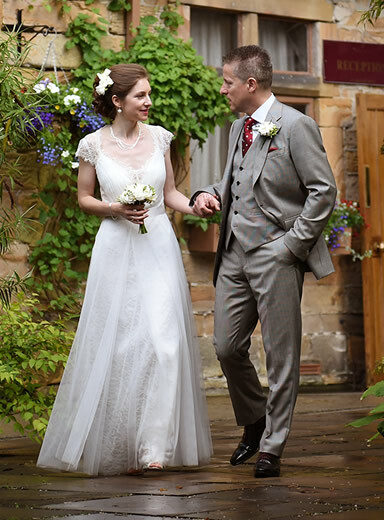 Ed wears a grey three piece lightweight tweed suit and a white Egyptian cotton shirt. Navy 100% cotton velvet jacket, trousers in super 110s pure new wool. 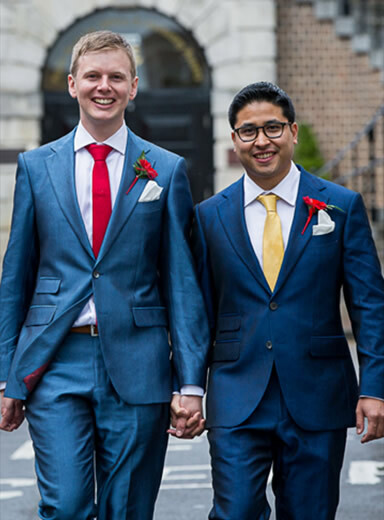 Jordon wears a two piece electric blue suit in super 110s, fabric from Brook Taverner. The groomsmen are in mid charcoal prince of wales check three piece suits. 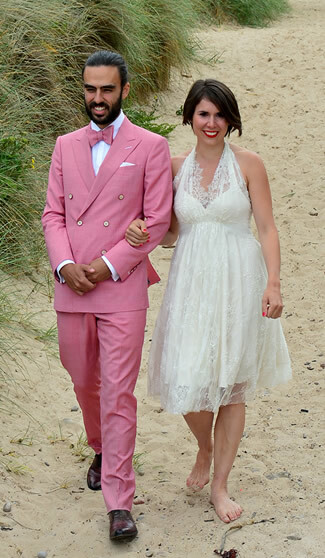 Marthinus wears a double breasted pink suit with matching bow tie in super 120s pure new wool and a white Egyptian cotton shirt. 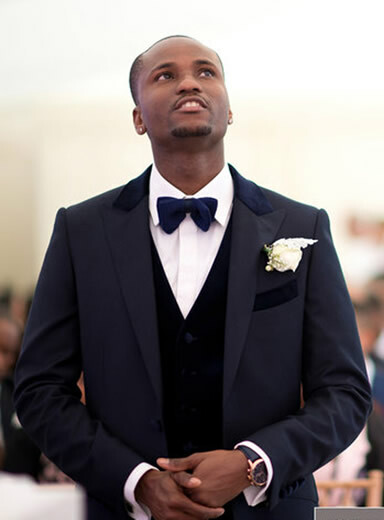 Clifford is wearing a peak lapel two piece suit in super 170's with silk from Loro Piana and a 2 fold 170s Egyptian cotton. Joemo wear a navy two piece suit with navy velvet collar with a navy velvet waistcoat. 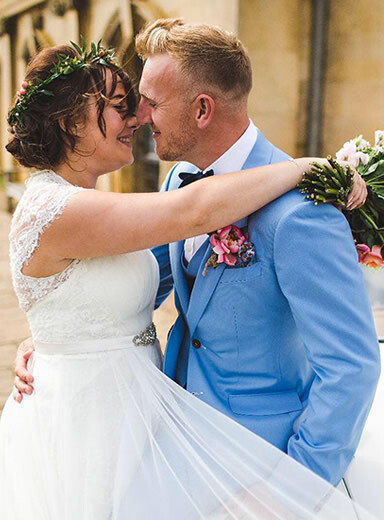 Greg wears a baby blue three piece suit in super 110s pure new wool from Huddersfield fine worsteds with tan buttons. 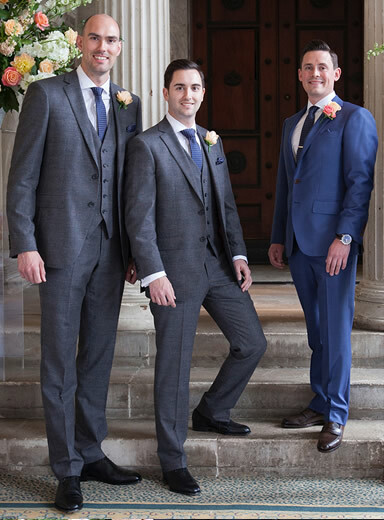 At William Young 1876 we have a wealth of experience working with grooms to ensure that our suits help create the perfect look and feel. 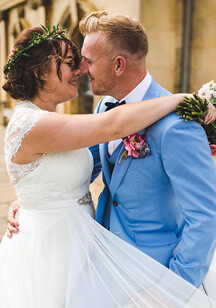 Whether you choose the beach, a church or another venue we have fabrics and designs to meet all your needs and budget. 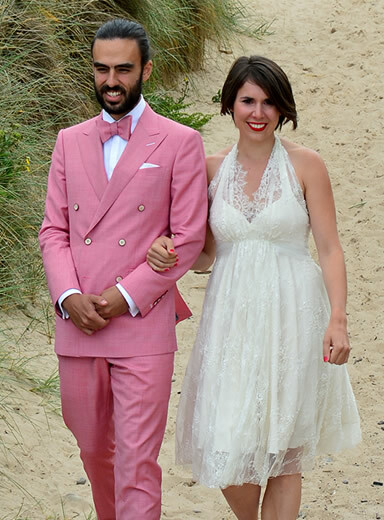 The groom’s suit should be as individual as he is, expressing personality and style. 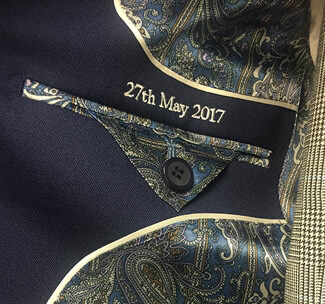 We ensure that you create a lasting memory with a suit that fits perfectly and creates confidence on the day and for many years after. 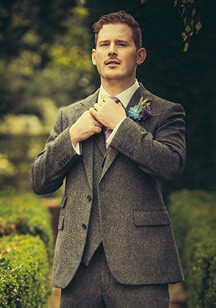 To complement the perfect suit we have a wide collection of ties, handkerchiefs, waistcoats and accessories. We understand the hectic lives of our clients and so our flexible service allows consultations to take place at our showroom or a location of your choice at a time of your choosing. 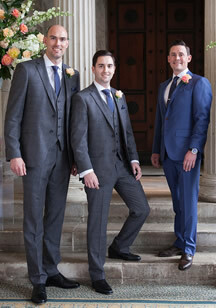 Hire wear also available form £150 for a suit, shirt and neck wear. 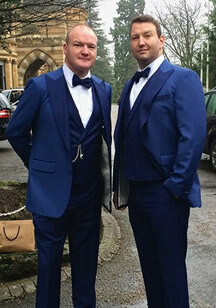 Ian and best man Christian wear cobalt blue jacket with contrast navy peak lapel with double breasted square bottomed waistcoat in super 120s pure new wool. 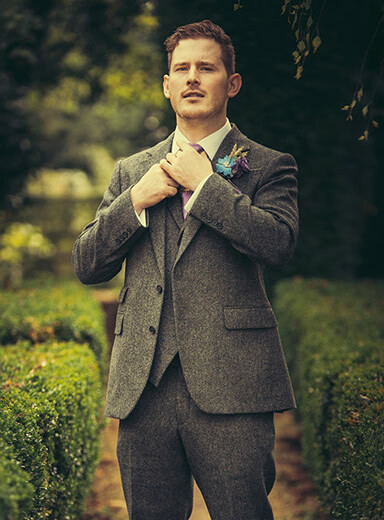 Nigel wears three piece black and white puppy tooth suit in super 120s pure new wool from the William Young collection. 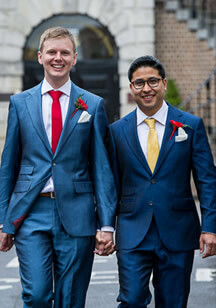 Peter is wearing an Electric Blue two piece suit, complimented by Faisal in Royal Blue. 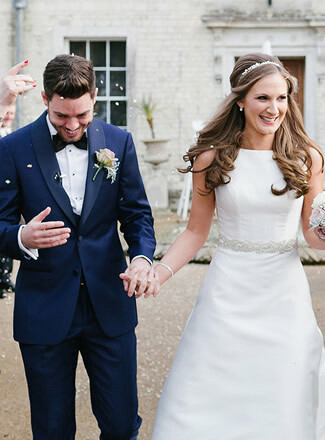 Both suits are made with a tonic wool viscose fabric which gives a slight sheen to the finish.